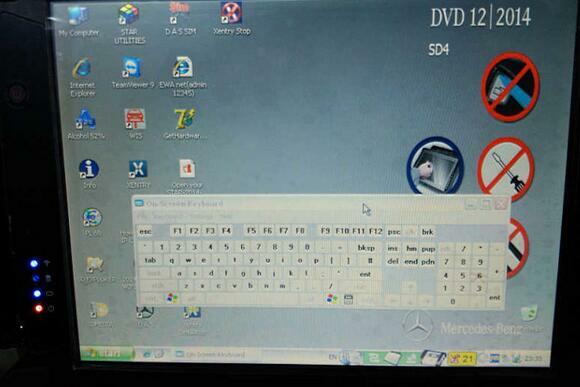 3.Find out and use the on-screen keyboard. 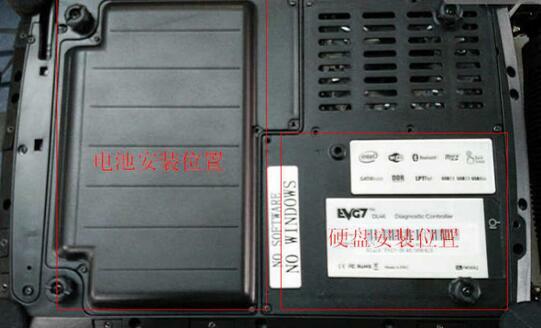 4.The method to use EVG7 U disk. 1.Press the “On” button to turn on machine. 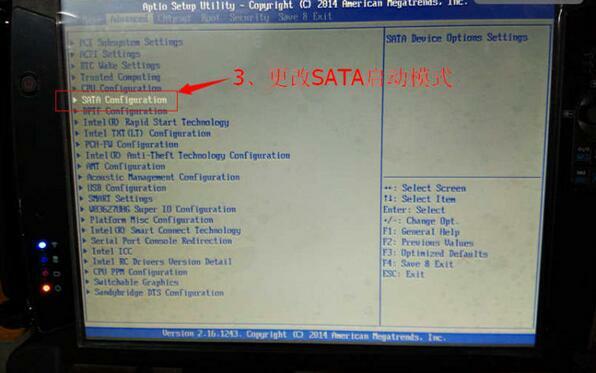 Then press “SAS” button to enter bios settings. 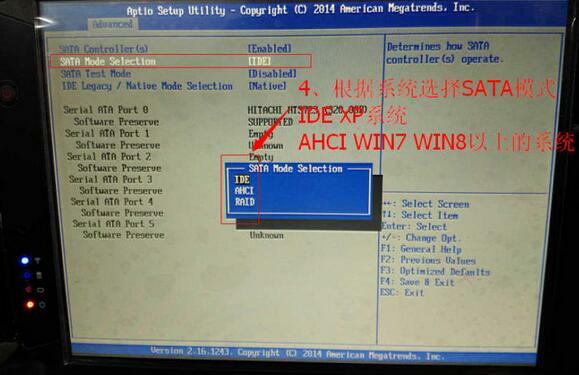 AHCHI: for WIN7, 8 etc. 4.Use the shift key to save and exit. 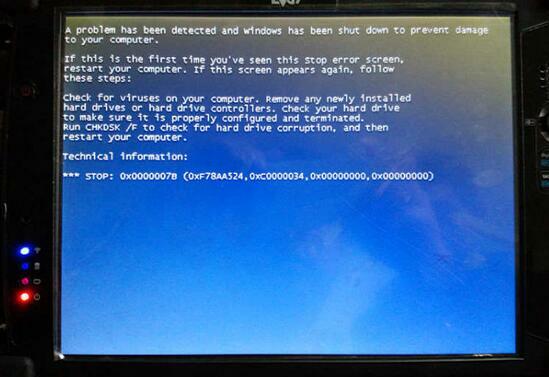 Restart the EVG7 and the Blue screen will disappear. 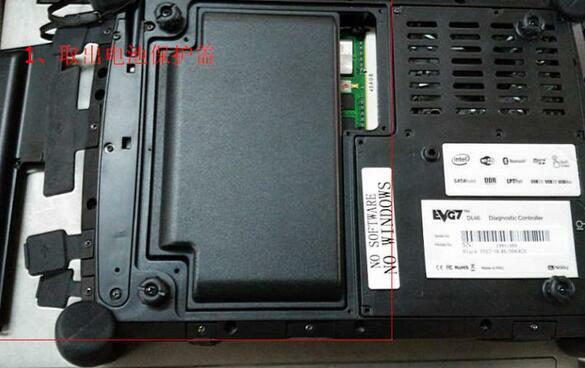 This upper left corner is the position of battery, the lower right corner is the position of the hard disk. 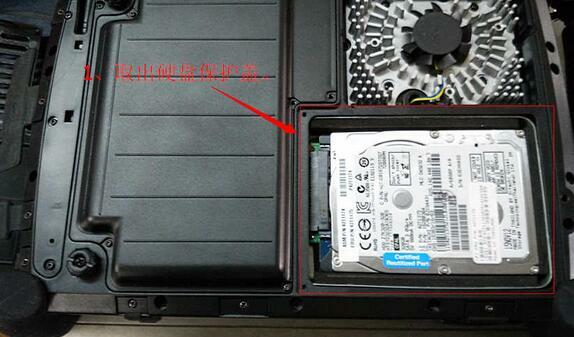 Before installing, please remove all the screws on the back cover. 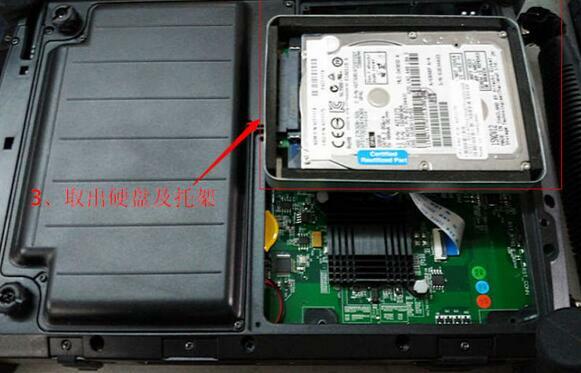 Open the cover of hard disk. 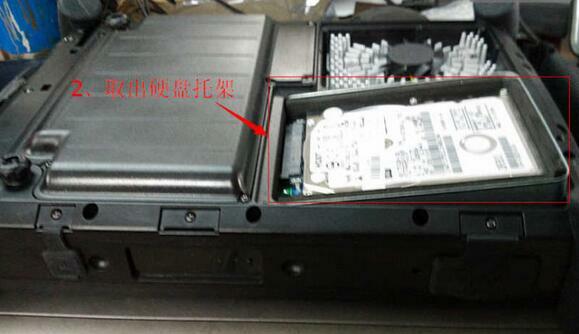 Take out the hard disk and the bay. Now you know how to install back, right? 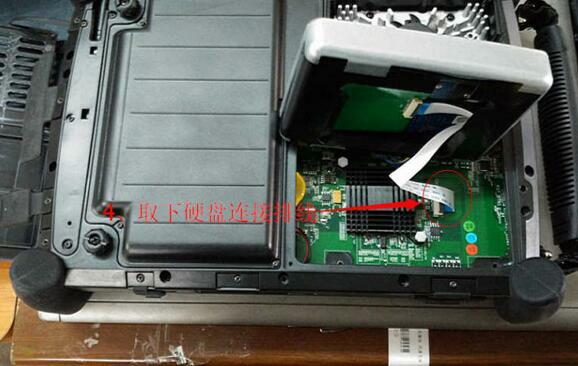 Open the cover of the battery. Put back the battery and close the cover. 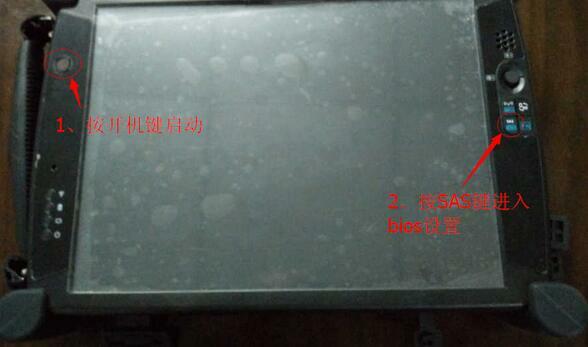 Part 3: Find out and use the on-screen keyboard. Start – Programs – Accessories – Accessibility -On-screen keyboard. 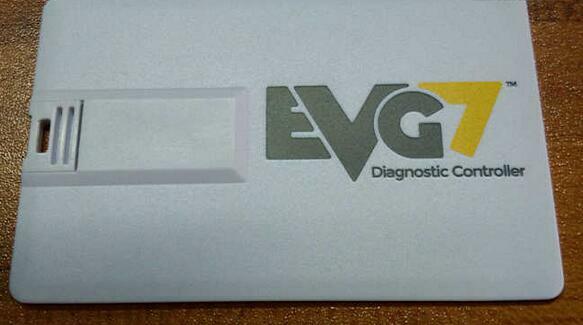 Part 4: The method to use EVG7 U disk. 1. 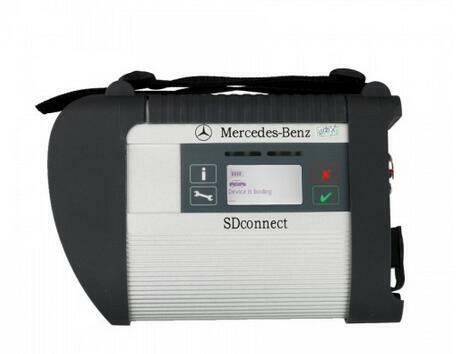 Question: can clone MB SD Connect C4 support Mercedes online SCN coding? 1. ) 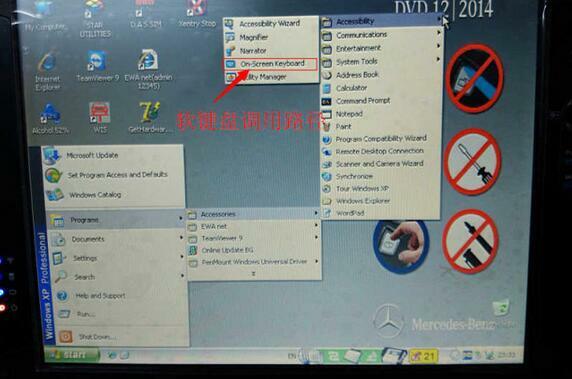 After ordering this service, prepare mb sd c4, car, laptop and teamviewer. 3. ) 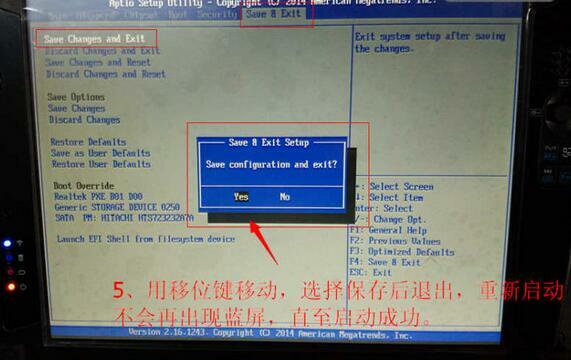 The engineer will access to your laptop to authorize SCN coding function. 4. ) 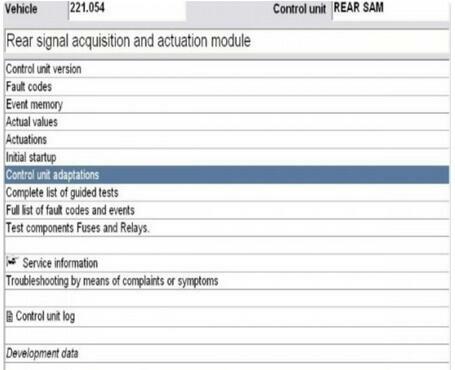 After finish, the system will display “The Mercedes diagnostic tool SCN coding sequence has been completed successfully”. The move to SCN coding was *very* important. There are too many configuration items in every ECU now to have someone set options by hand whenever an ECU is changed, or to understand how changes on one device have to be done on other devices. These cars are really very very complex, and unlike your laptop, if something goes wrong can result in fatalities. There are software dependancies between different ECUs, and actually loading software into ECUs is now needed regularly – and thus so is up-to-date diagnosis equipment and up-to-date firmware disks too. A simple example is the Audio system. If you update the firmware in the COMAND unit the firmware in every other MOST device needs also to be compatible (if you want it to work reliably) and thus they all need firmware updates. If you change one component then all components need to be updated to be properly compatible. 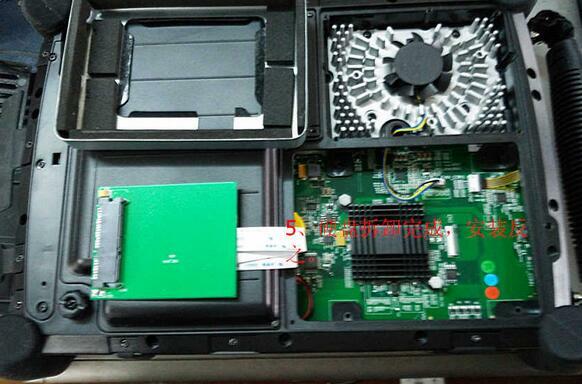 The latest equipment even now uses ethernet to load firmware into some ECUs (so it takes 20 minutes not 20 hours). Without SCN coding it would take considerably longer to change any control unit, would result in mistaken configurations, and thus the cost of repair (or re-repair) would go up and up as systems got more complicated. SCN coding basically allows the correct configuration to be loaded into the car. 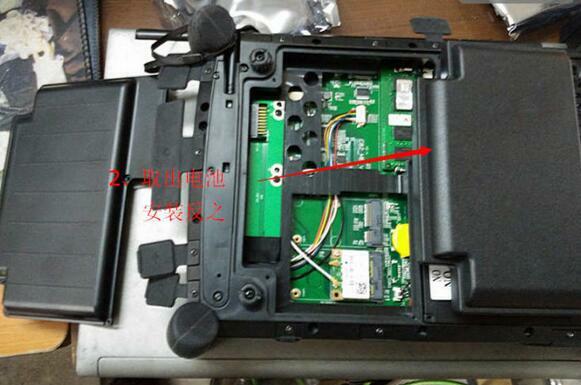 Imagine what could/would happen if you had to “hand code” the airbag controller after replacing it ? Would you trust all of your airbags to work after the local mechanic had to set all the options correctly ? I certainly would not. Your comment that “The capital cost of the latest version, plus the monthly subscription, means it is beyond the reach of many smaller independent garages” is just wrong. If your garage has the skills to deal with the technology (and i’d argue that if they don’t they shouldn’t be doing complex things with the newest vehicles), then it is completely affordable. If you want to work on older cars, then most independents seem to use a clone machine and use it for limited things. The EU competition commissioner has previously taken a good look at this market and enforced rules that mean diagnosis equipment (for newer vehicles) is available at sensible prices. This is not true in the rest of the world. Mercedes diagnosis systems in USA are more expensive, and in the far east (and I think Australia) are not available at all to independents. Sorry to be so contradictory, and in summary, but without SCN coding there would be mis-configurations and un-reliability – possibly dangerous to life – occurring quite regularly. 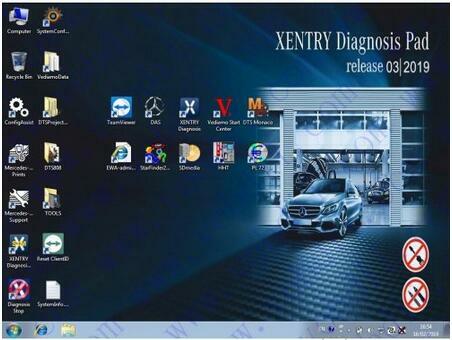 And if you are going to need to work on newer cars, there are very affordable Xentry diagnostics systems – you just need to talk to Mercedes.